CAPA has been called in for a property audit at Home & Garden, the national chain of garden centres that folded after the ‘beast from the East’ turned shoppers away. H&G (Retail) Limited, trading as Home & Garden, entered insolvency along with its subsidiaries on March 27, when Adam Harris and Patrick Lannagan of Mazars, the international accountancy and advisory firm, were appointed as joint administrators. Unexpected severe weather conditions at the start of the year, which worsened when the ‘beast from the east’ hit Britain throughout March, impacted the group’s cash flow during the first quarter of 2018. After their appointment, the administrators have now instructed CAPA to conduct a full property audit across eight Home & Garden stores. The instruction will involve a forensic analysis of Home & Garden’s property outgoings and data on invoices owed to the garden centres. 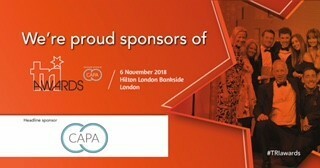 CAPA’s auditors will use bespoke software to uncover multiple elements such as errors in utility bills, or any overspend across the eight outlets, before recovering the cash for Home & Garden’s creditors. The team will also inspect rates paid out across the store portfolio, to identify any anomalies, and subsequently recover further sums for creditors. Formed in 2013, Home & Garden remains a nationwide business, trading from nine sites across the UK. The business is headquartered in Biggleswade, and the eight remaining garden centres are situated in Worcester, Nottingham, Kettering, Leighton Buzzard, Ferndown, Chichester, Rowlands Castle and Willingdon. Now looking to sell the business and save jobs, the administrators said Home & Garden is a well-established business with historically strong margins, and would represent a good opportunity for interested parties.